A cold snap following a snow storm this past week was some of the worst winter weather we've experienced in Maryland so far this year. And on one of the coldest nights, a little filly decided it was her time to be born. After drying her off she was still shivering even though she was in a snug barn - the weather was just not cooperating. Owner Kris Morris of Fat Chance Farm, called us with approximate measurements of center of chest to center of tail and asked if we had any foal blankets. Yes! 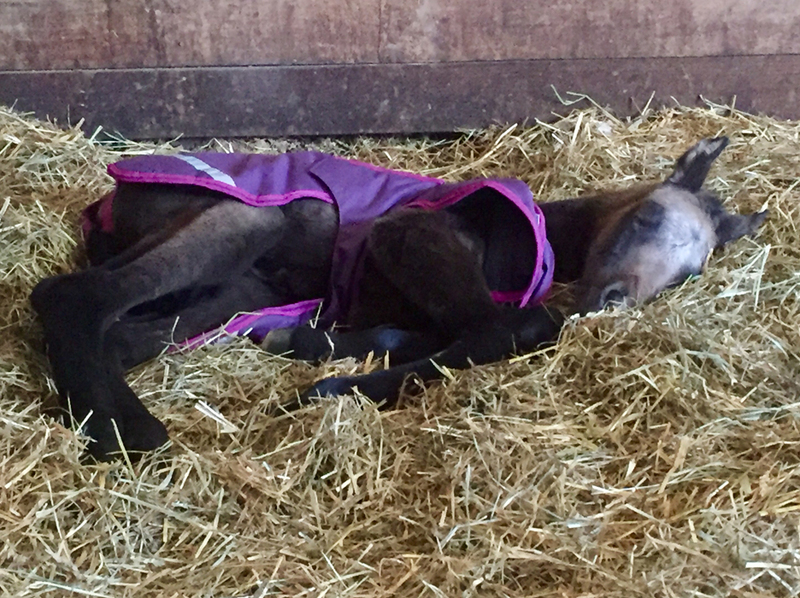 We have lots of foal blankets to choose from and we're not that far away from Fat Chance Farm. We arranged to get it to her right away on the same day. So, welcome to the world Daytona! 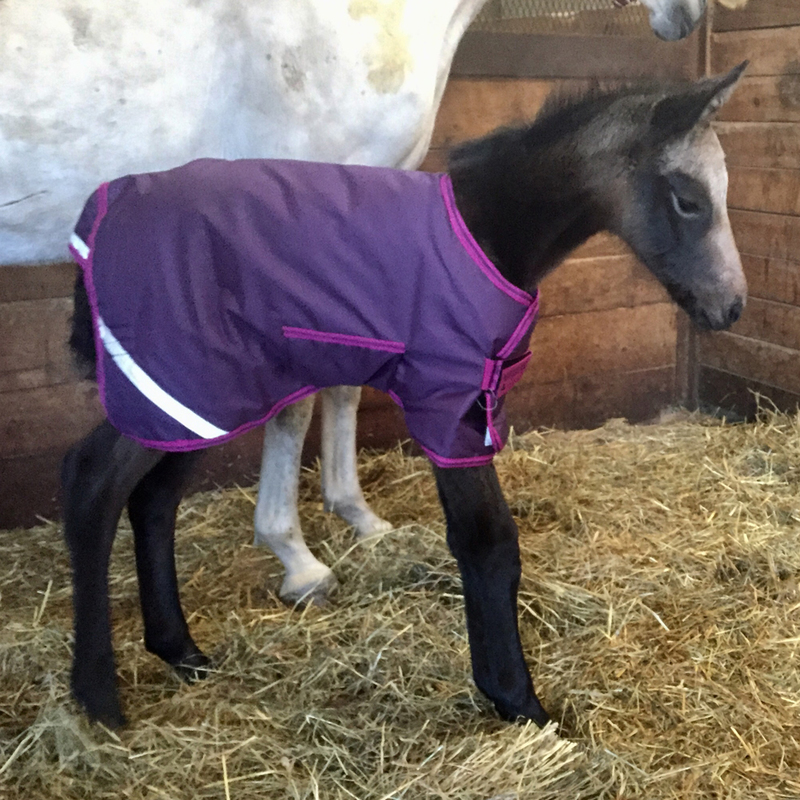 Kris selected an Amigo Foal blanket that's a medium weight blanket and is waterproof and breathable. It has a unique innovative adjustment system to get the perfect fit. The front and side adjustment system can expand the blanket by 6 inches in length and they're easy to adjust with velcro. See Daytona sleeping all warm and comfortable in her new blanket.